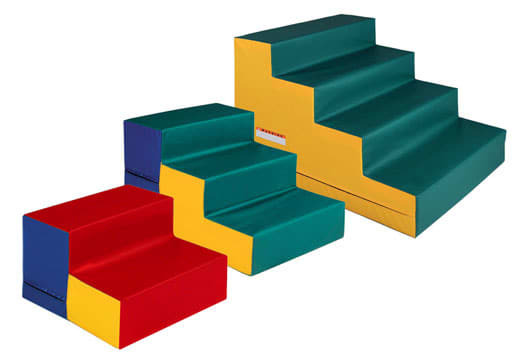 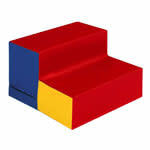 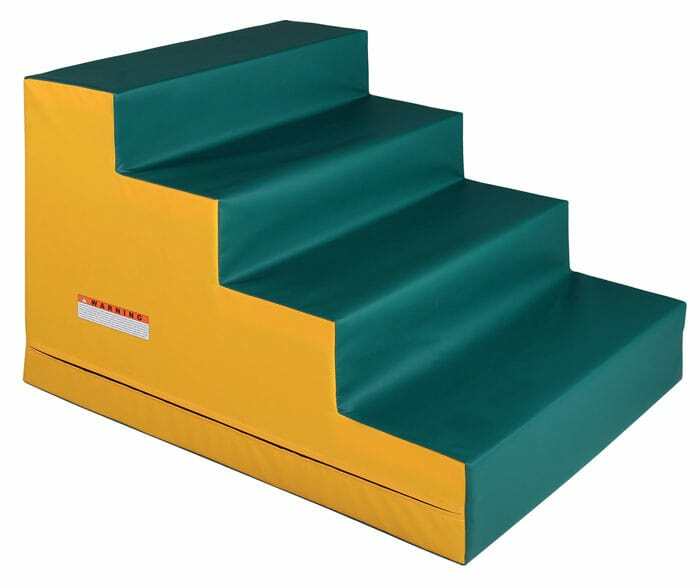 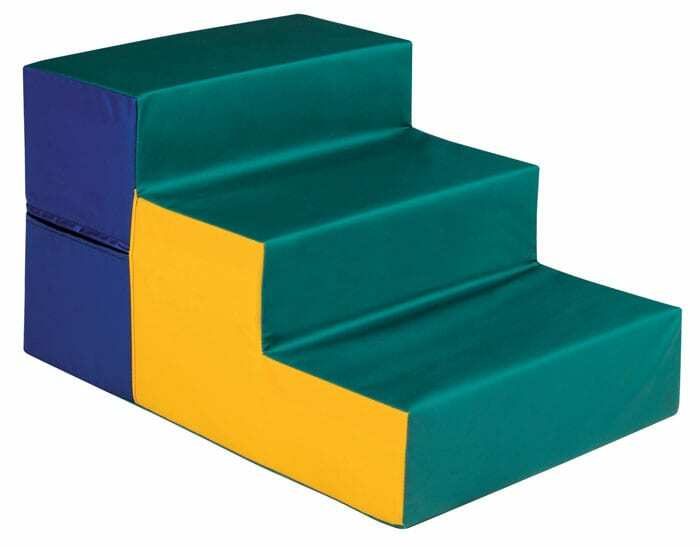 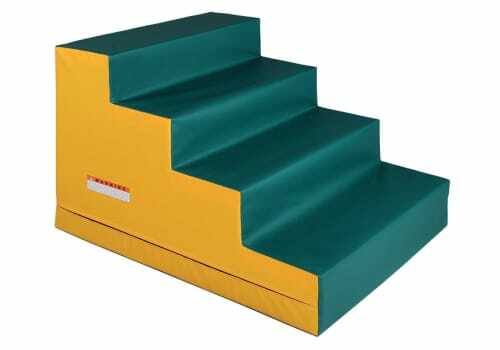 Our 4-step kids foam mats are filled with a 70 ILD polyurethane foam base topped with a layer of firm crosslink foam for additional support and a much longer life. 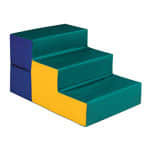 28"H x 30"W x 44"L, 34 lbs. Our 4-step kids foam mats are filled with a 70 ILD polyurethane foam base topped with a layer of firm crosslink foam for additional support and a much longer life. 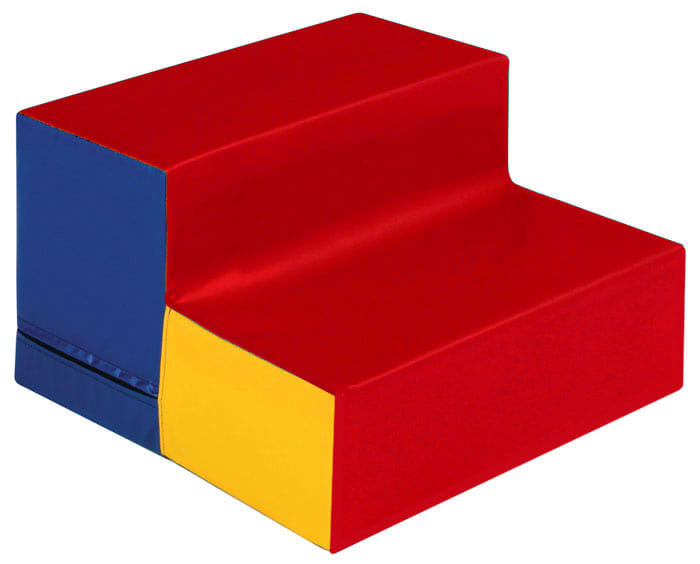 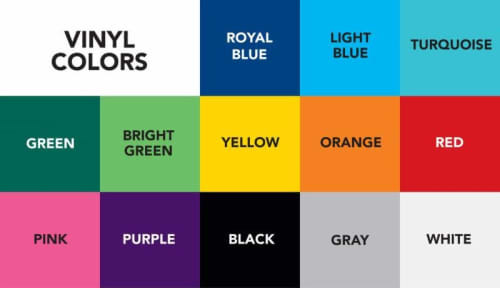 Covers are fabricated of brightly-colored 18 oz. 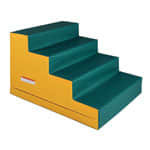 vinyl-coated polyester.